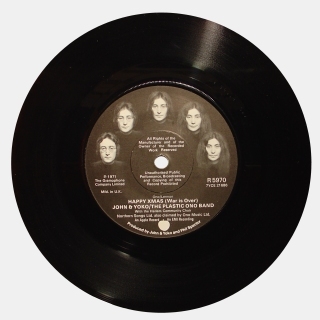 Since the last instalment we’ve been swamped with some great content – enough for at least two or three more posts featuring the Beatles (or people close to them) photographed or filmed with records or CDs – either their own or those of other artists. 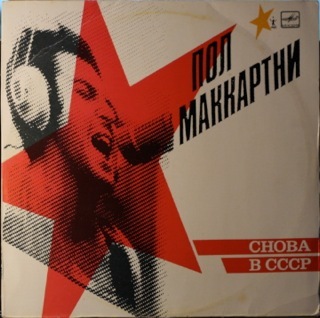 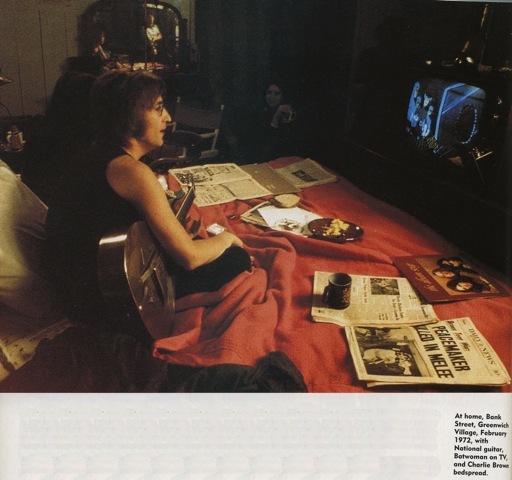 The footage comes from a 1977 film by French film-maker Gérard Courant, whose website says of the film: “The year punk music exploded, Courant gave his most avant-garde outburst by relating for the first time the shattering experiences that took place in the second half of the 20th century…with the rock culture that clamored that same idea of rupture…”. 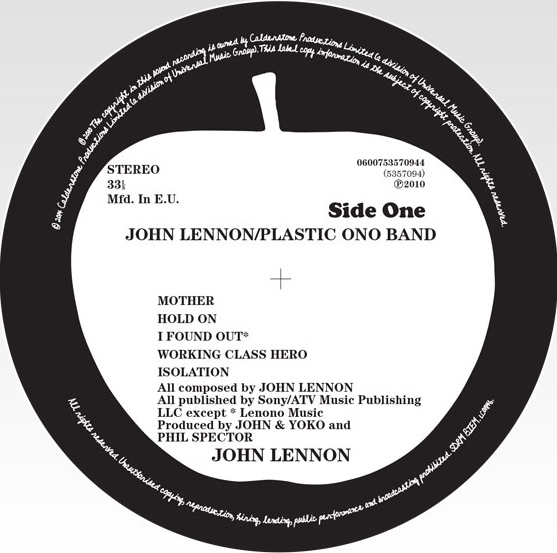 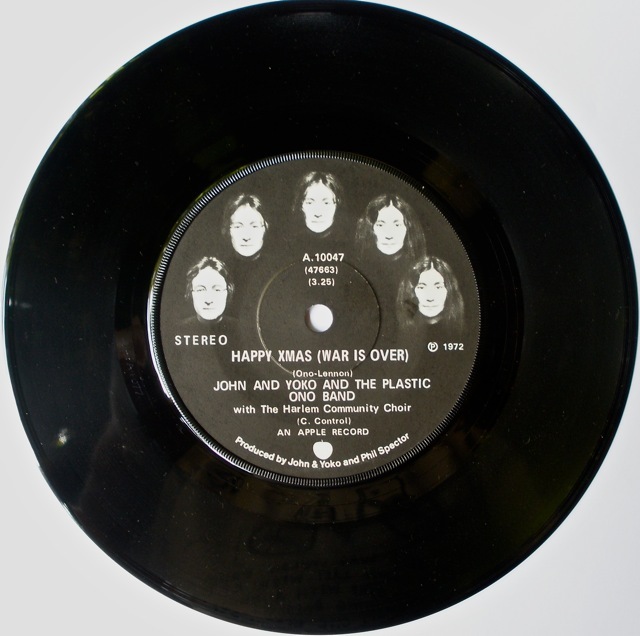 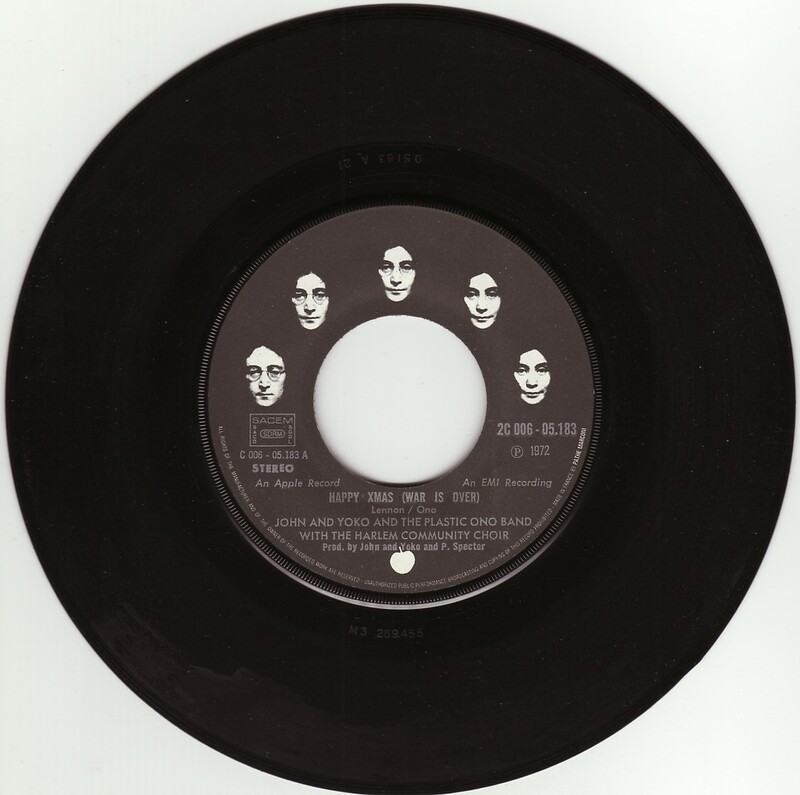 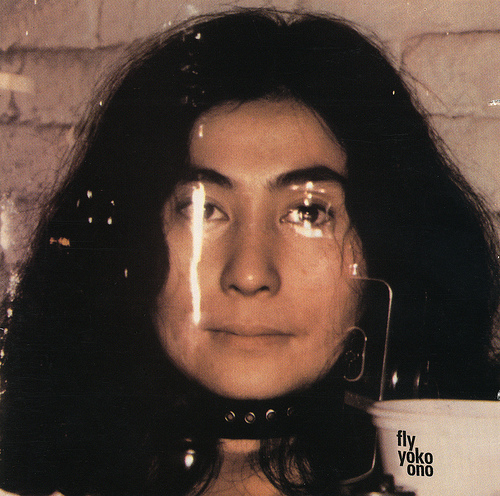 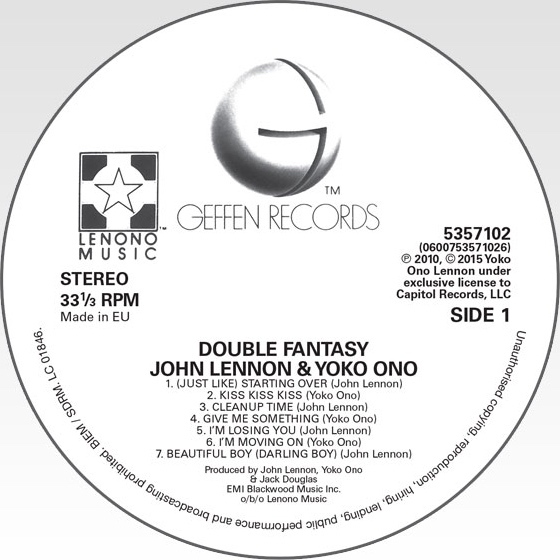 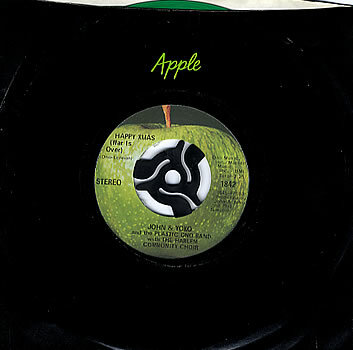 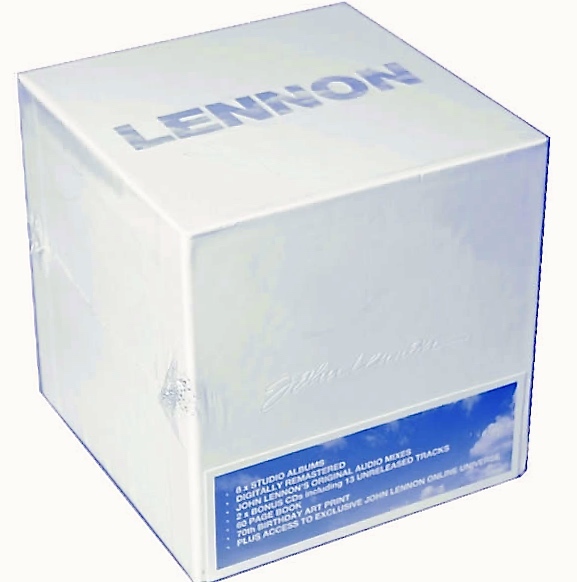 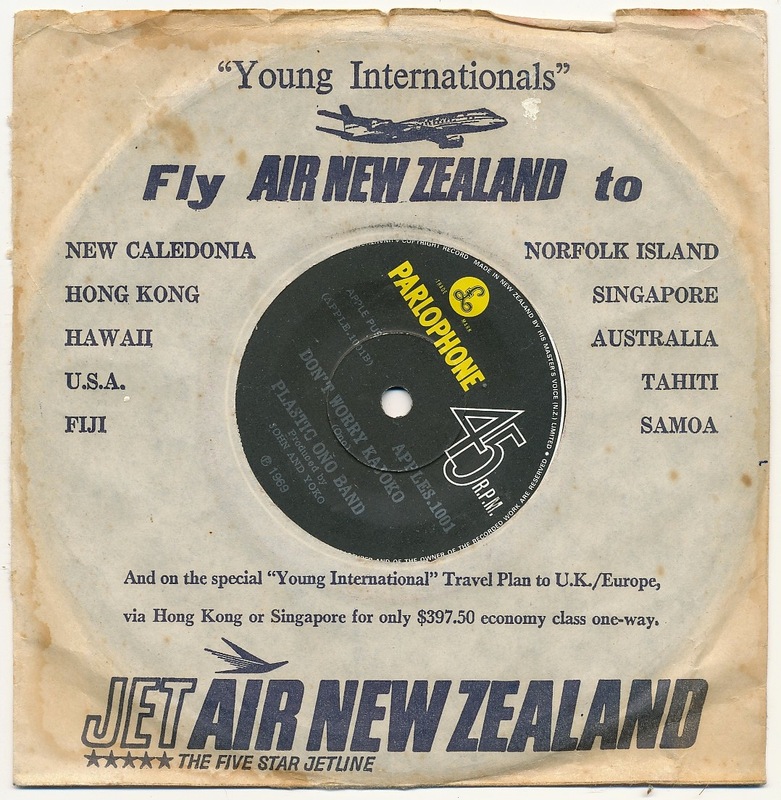 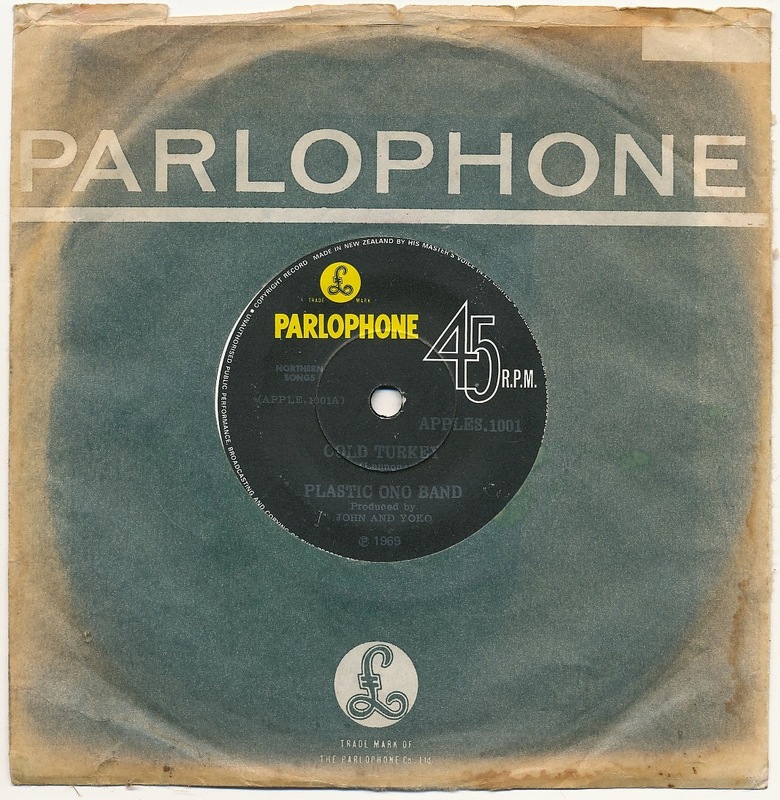 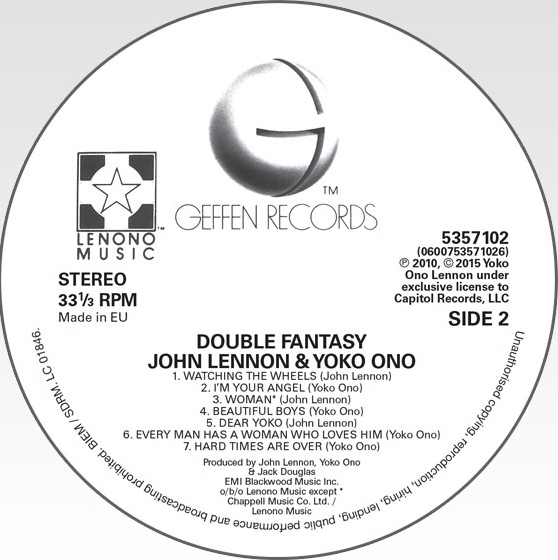 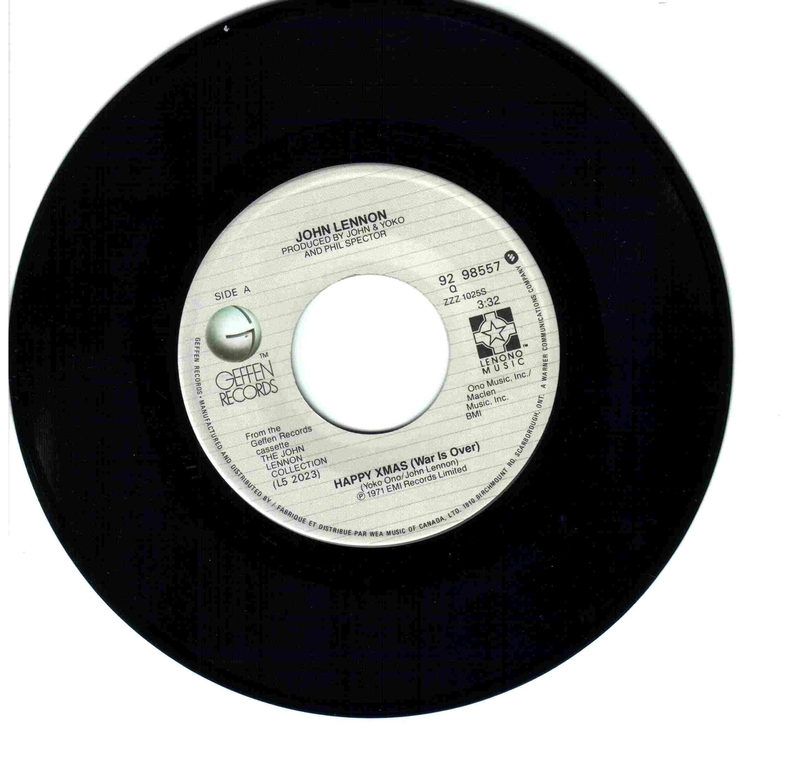 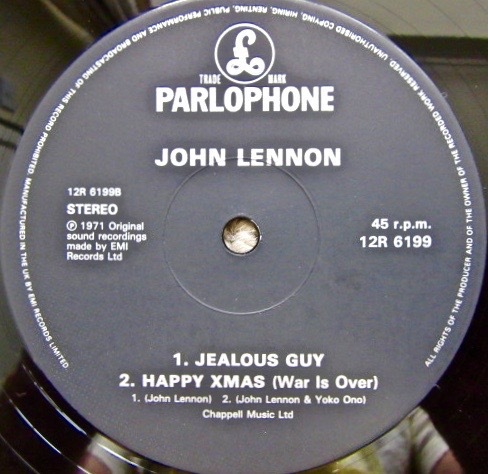 Lennon and Ono can also be seen publicising the same LP in Part Five and also in Part Two. 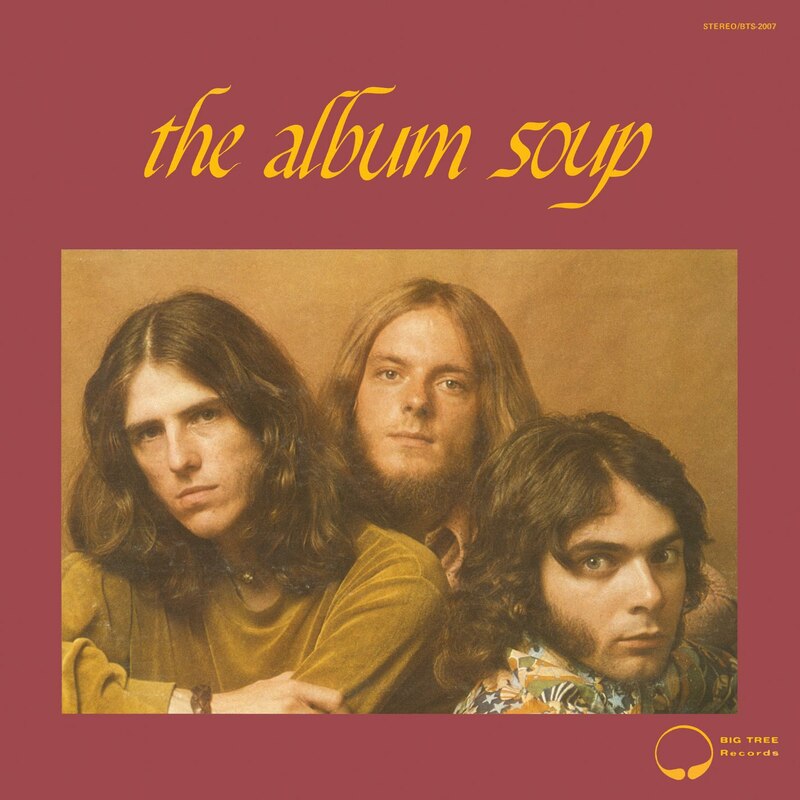 The Power Pop website says that the group Soup was from Wisconsin in the USA and the members were Doug Yankus, Rob Griffith and David Faas . 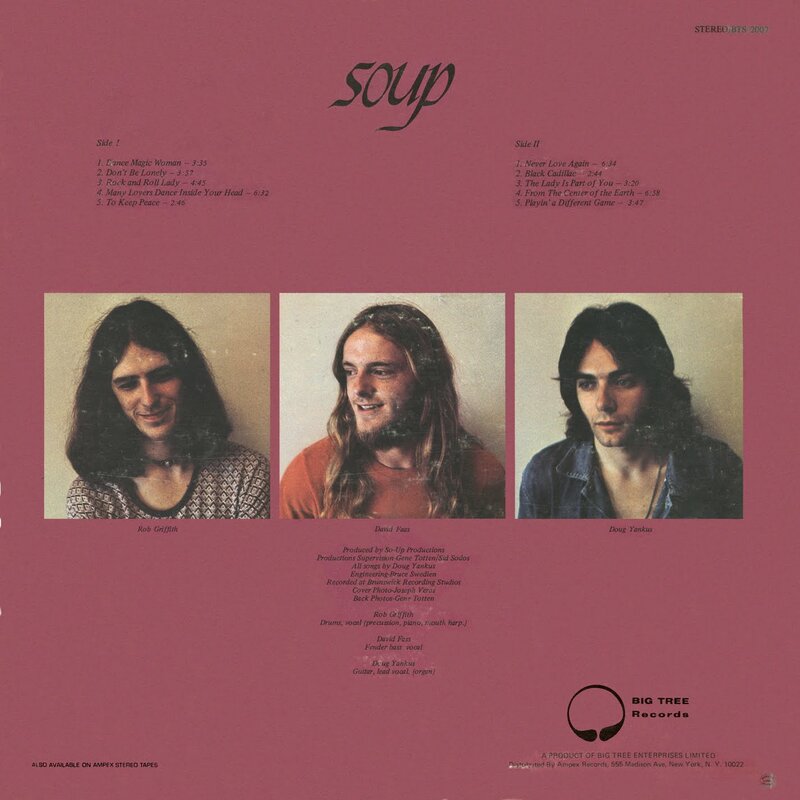 The band released a self-titled album in 1970, however what we can see here is the bands second LP, The Album Soup, from 1971. 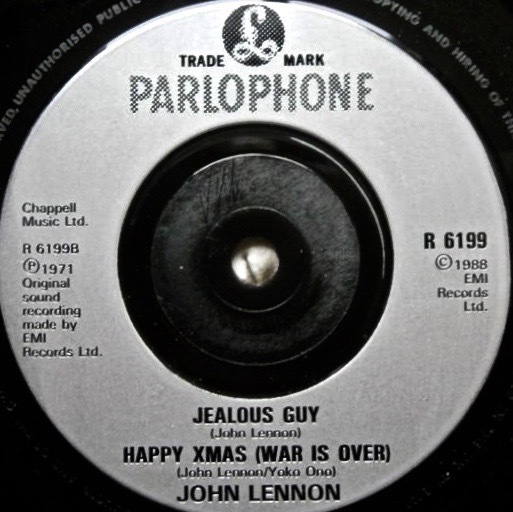 How it came to the attention of John Lennon, and what he thought of it we’ll probably never know. 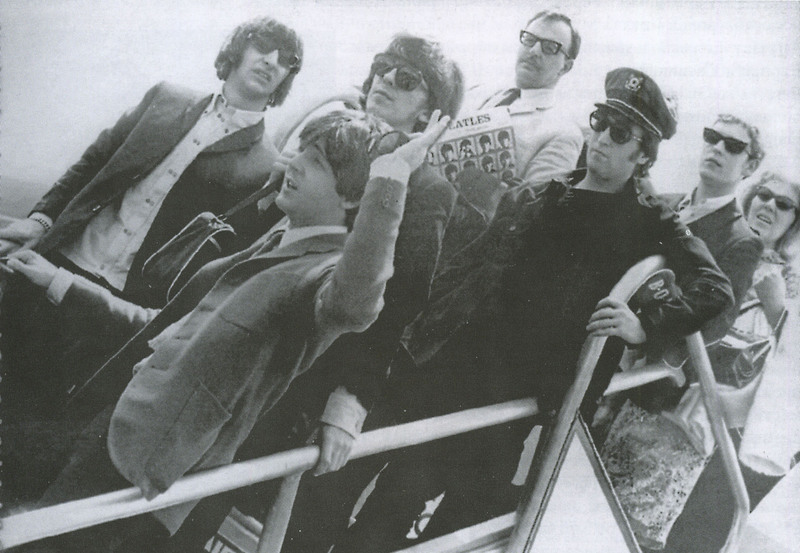 Could it be that this photo below was taken on the same day and location? 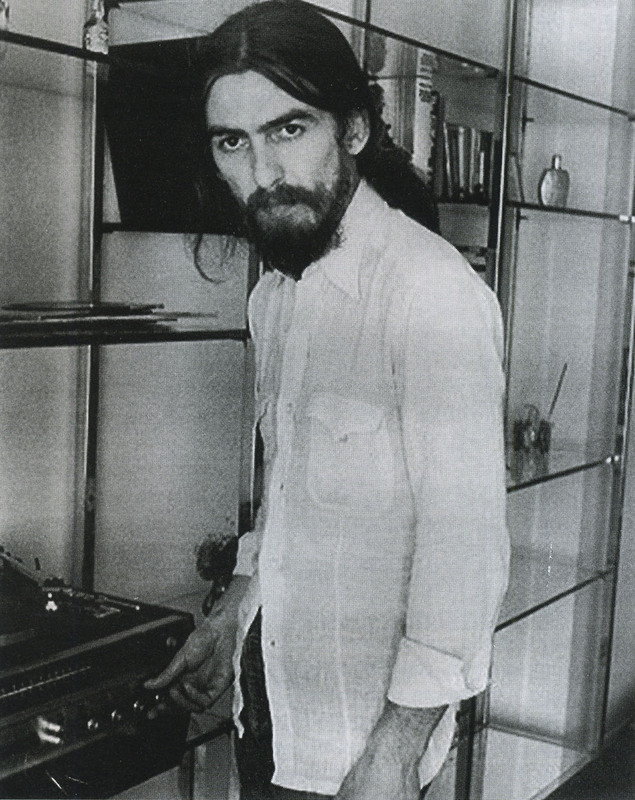 It looks very much like the same shirt George is wearing above. 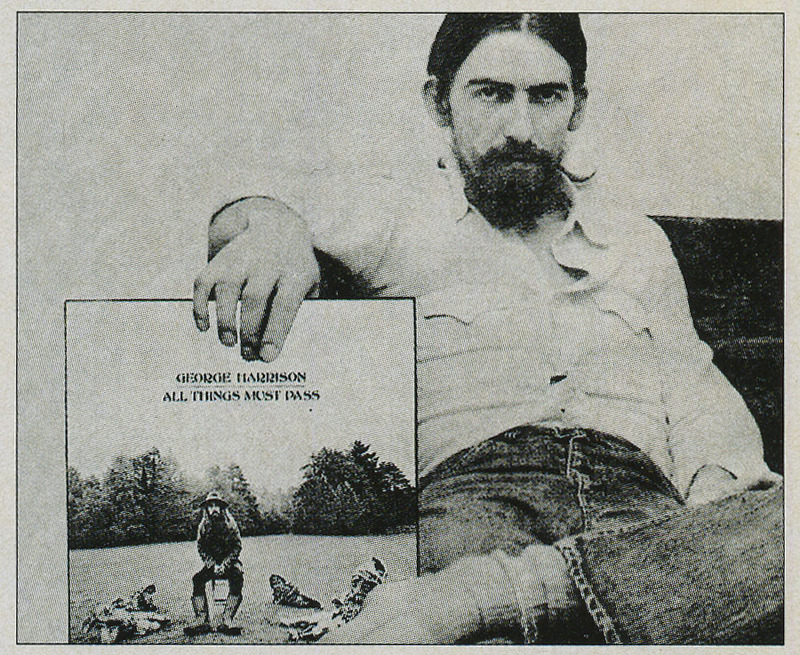 Perhaps he’s playing one of the sides from All Things Must Pass on his record player at home? 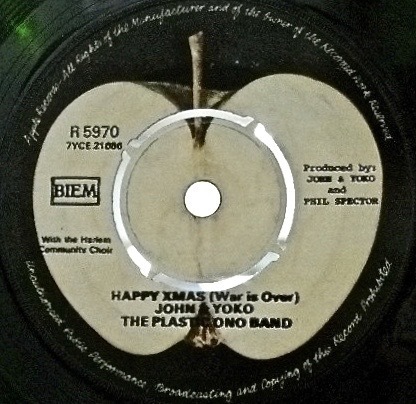 Thanks to all those who have sent in content and further information. 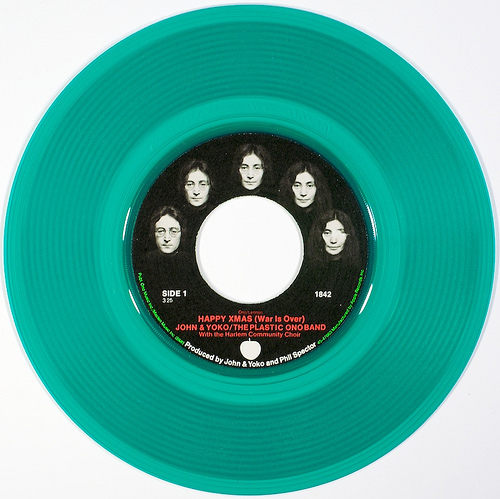 You can see the other parts in “The Beatles with Records” series here: Parts 1, 2, 3, 4, 5 , 6, 7 , 8, 9, 10, 11, 12, 13, 15, 16 and 17. 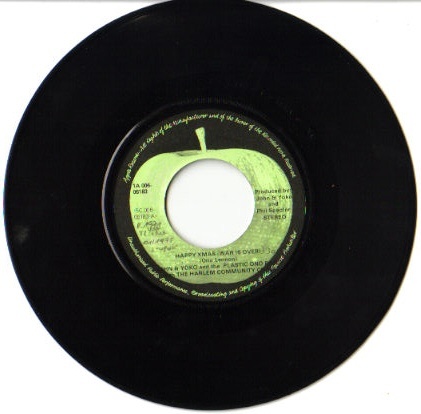 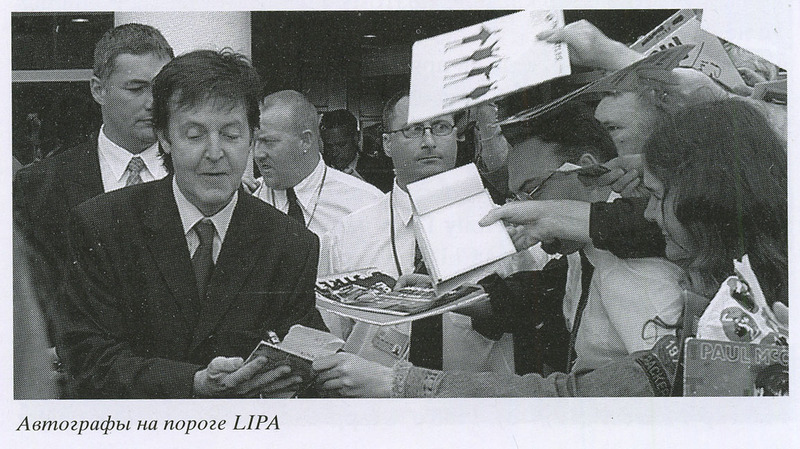 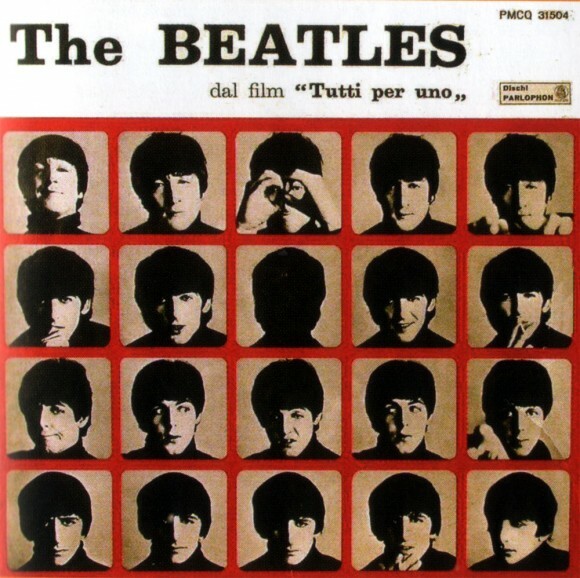 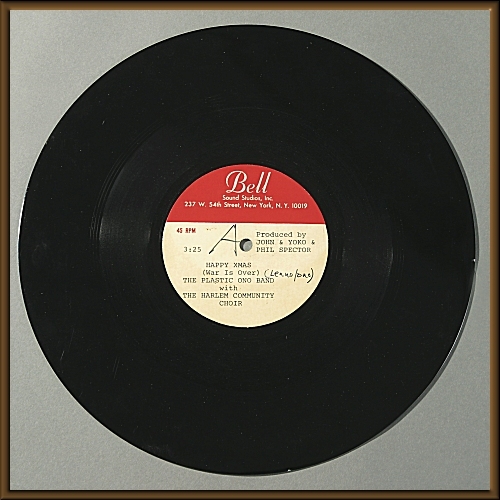 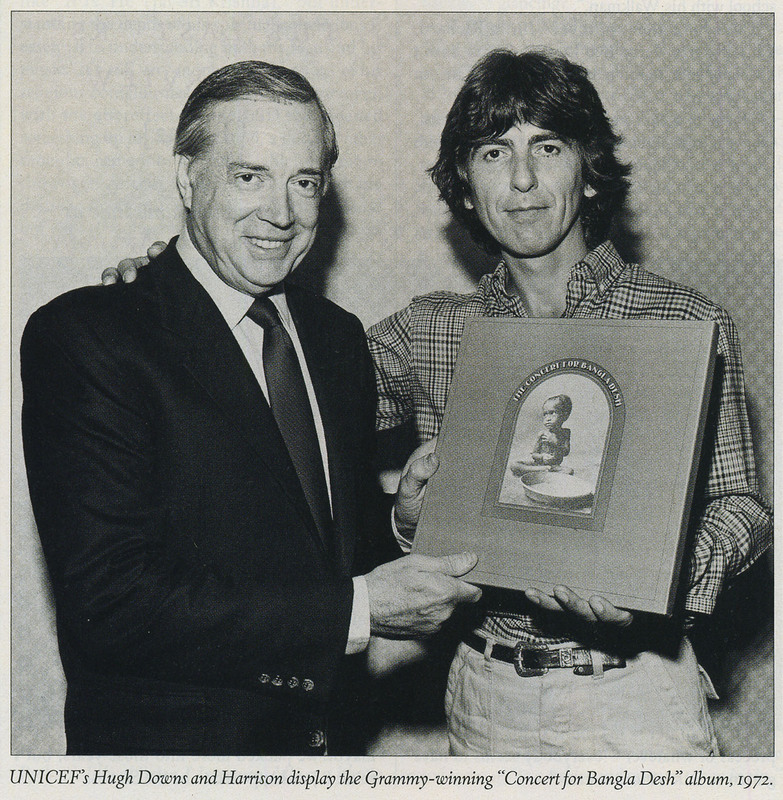 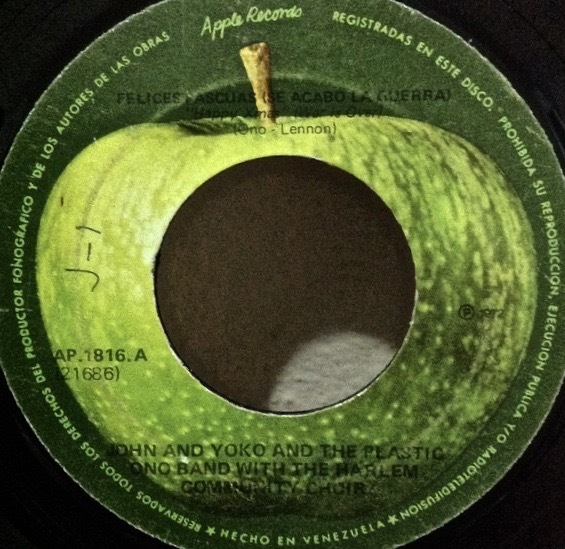 There will be more “Beatles with Records” soon…. 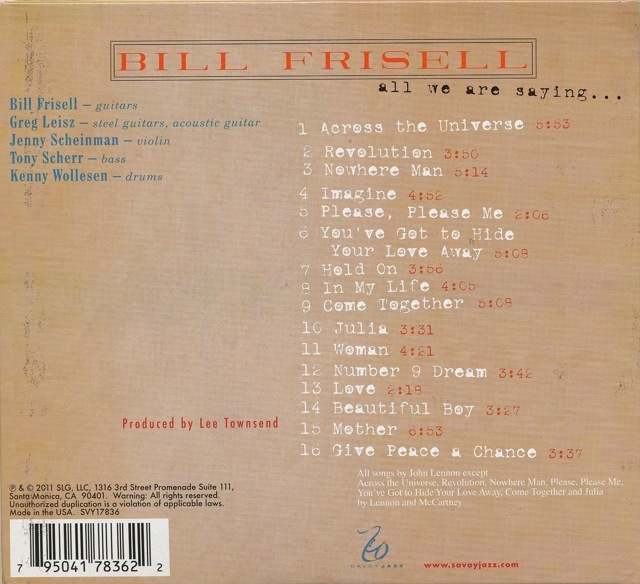 While he’s been around a long time I only became aware of Bill Frisell relatively recently when Elvis Costello teamed up with veteran composer and arranger Burt Bacharach in 1998 to produce an album of new songs called “Painted From Memory”. 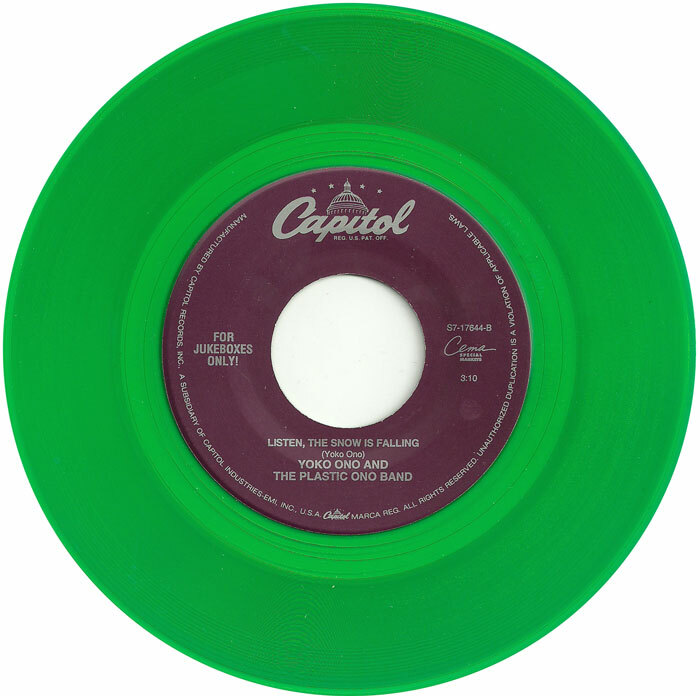 Both Costello and Bacharach are favorites and this album is great. 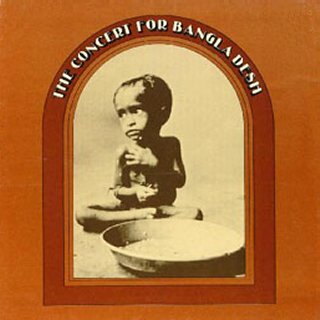 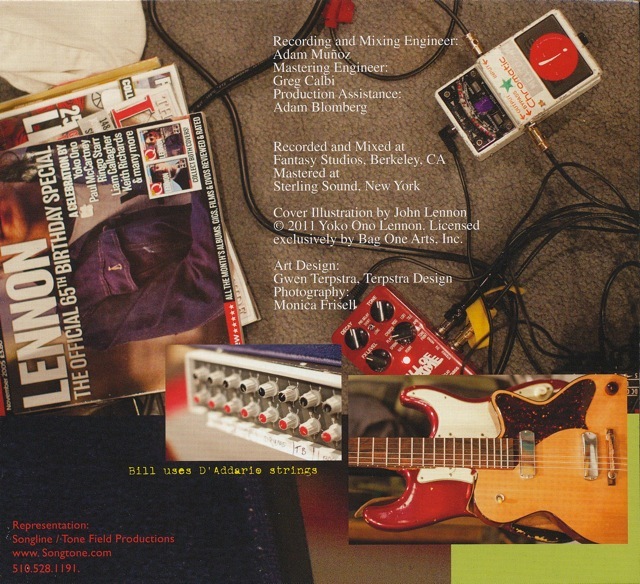 The interesting thing about their project is that they gave all their new songs to guitarist Bill Frisell very early in the process to create his own jazz versions of their new work. 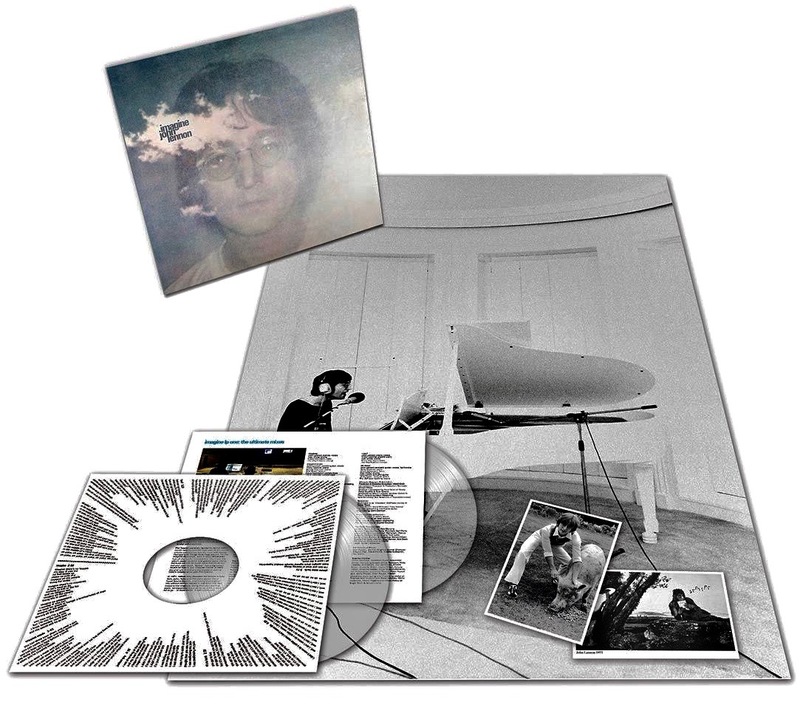 As a result he released his album “The Sweetest Punch” almost simultaneously with their “Painted From Memory” disc. 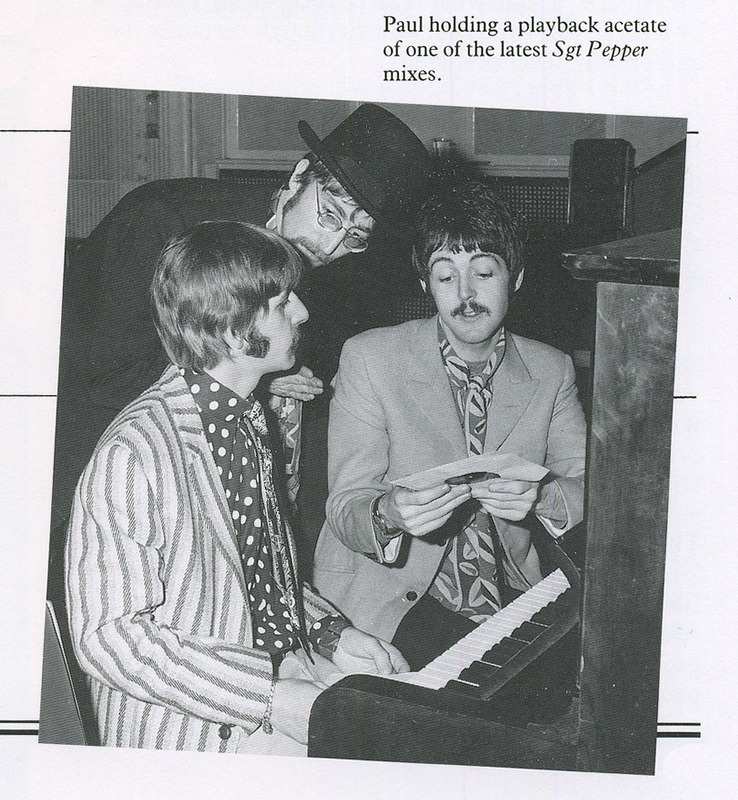 Quite unusual in the music business. 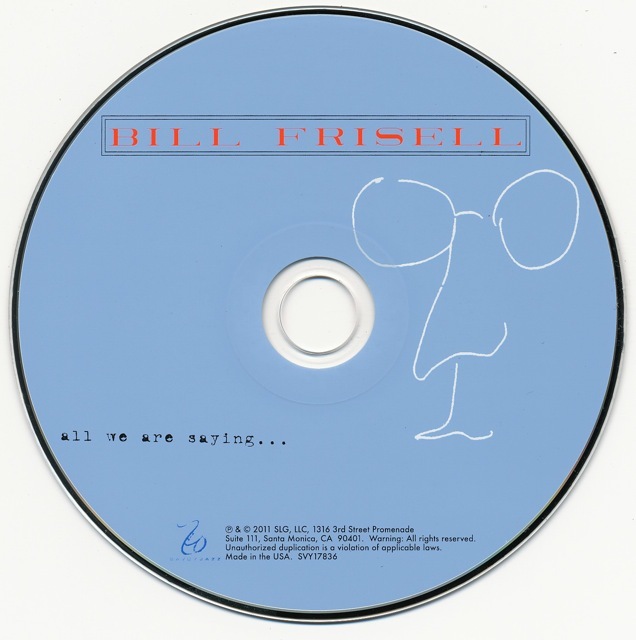 I got both “Painted From Memory” and “The Sweetest Punch” back then and have enjoyed them immensely since…..hence my interest in the work of one Bill Frisell. 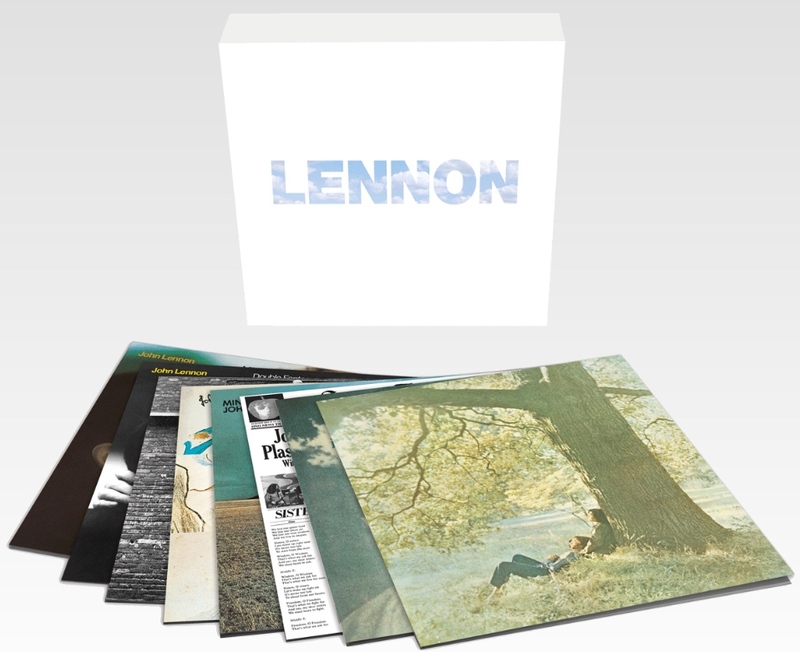 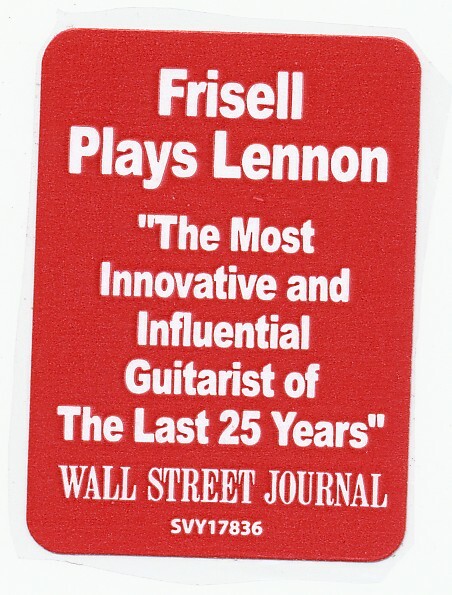 As you can see from the rear cover song-list, Frisell does a wide range of Lennon compositions from the Beatles days (both early and late), through to the Plastic Ono Band, Lennon’s early solo work, and right up to songs from the final John Lennon/Yoko Ono album “Double Fantasy”. 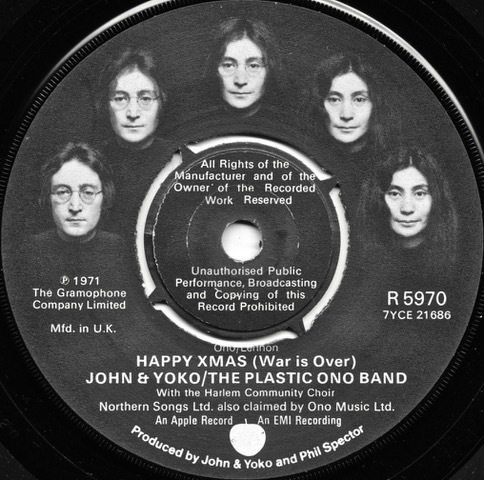 The cover art is also interesting. 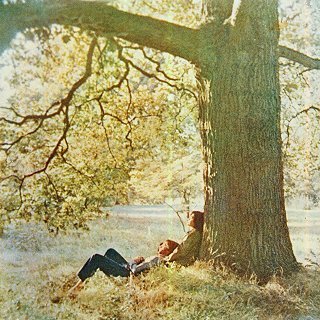 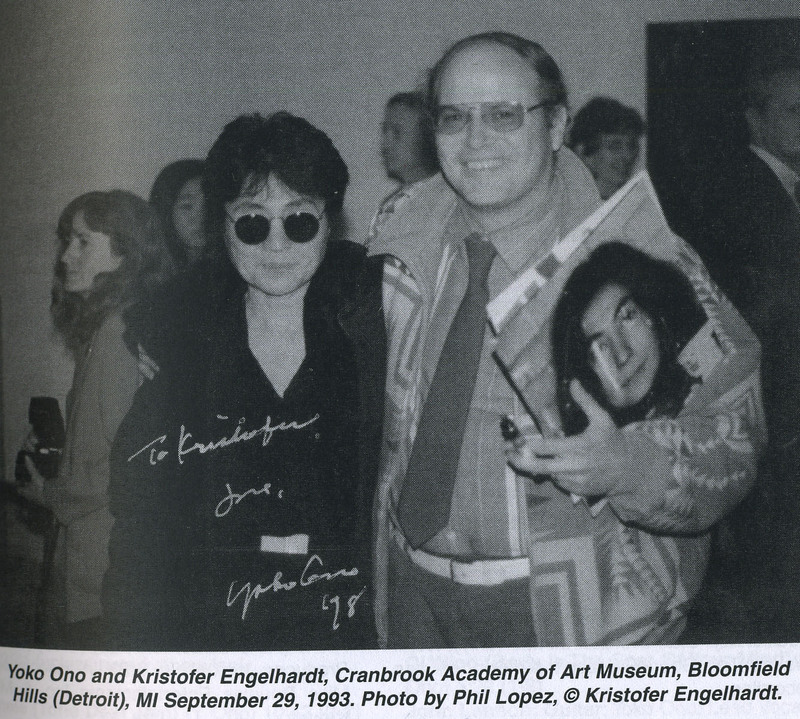 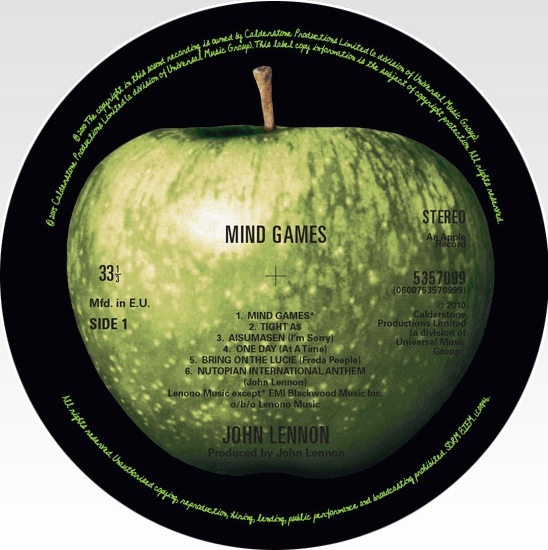 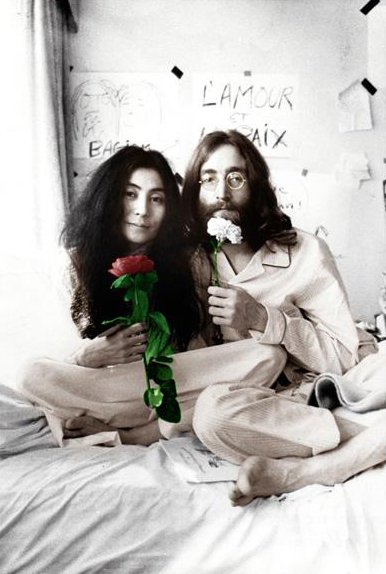 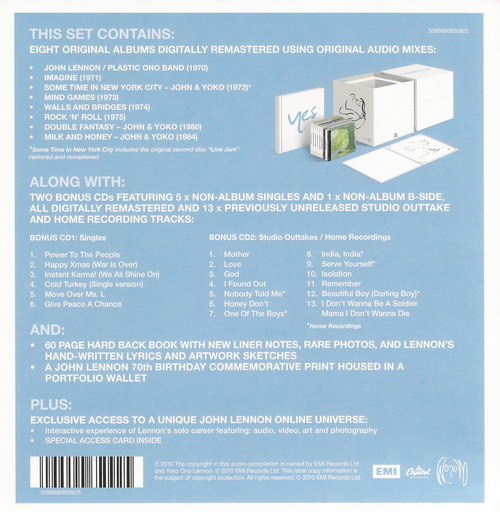 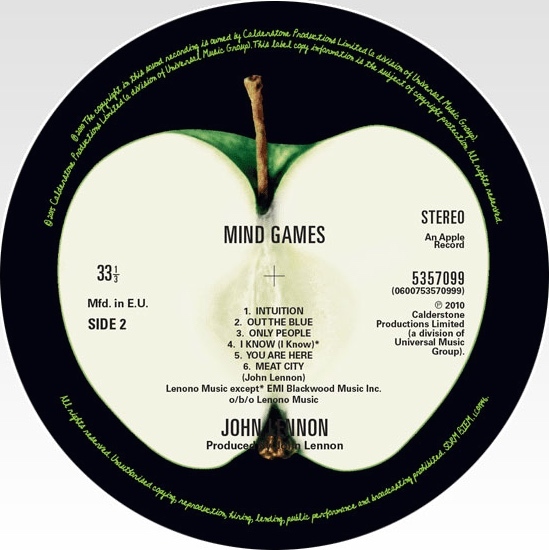 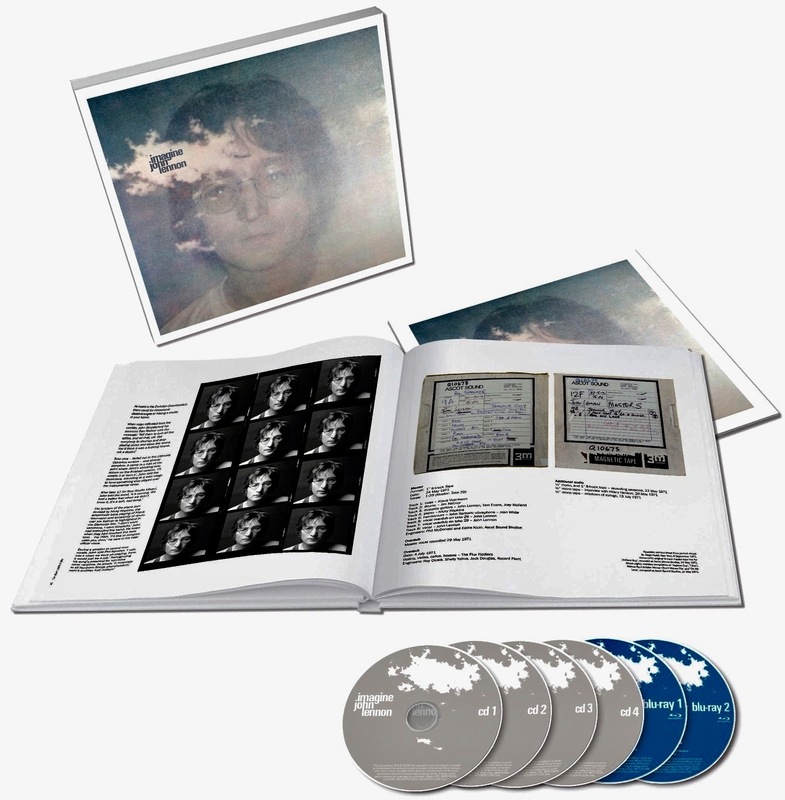 Inside the gatefold digipac it’s revealed that the project has the blessing of Yoko Ono and the Lennon Estate because they have officially licensed the cover art which is a John Lennon original drawing. 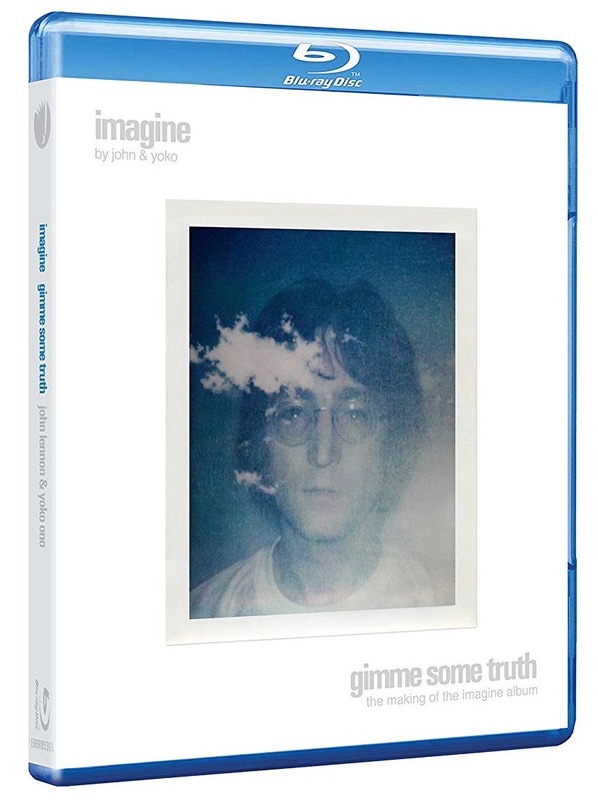 So – it all looks and feels very original. 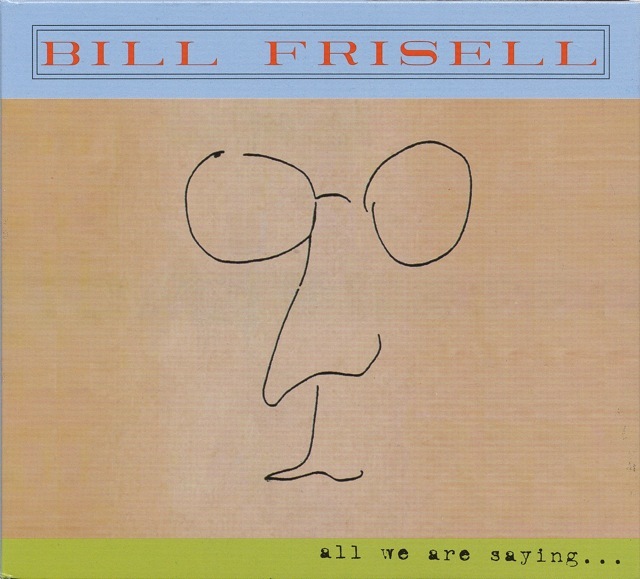 These are all songs I know well, and the interpretations that Frisell and his band deliver are fresh takes on familiar material. 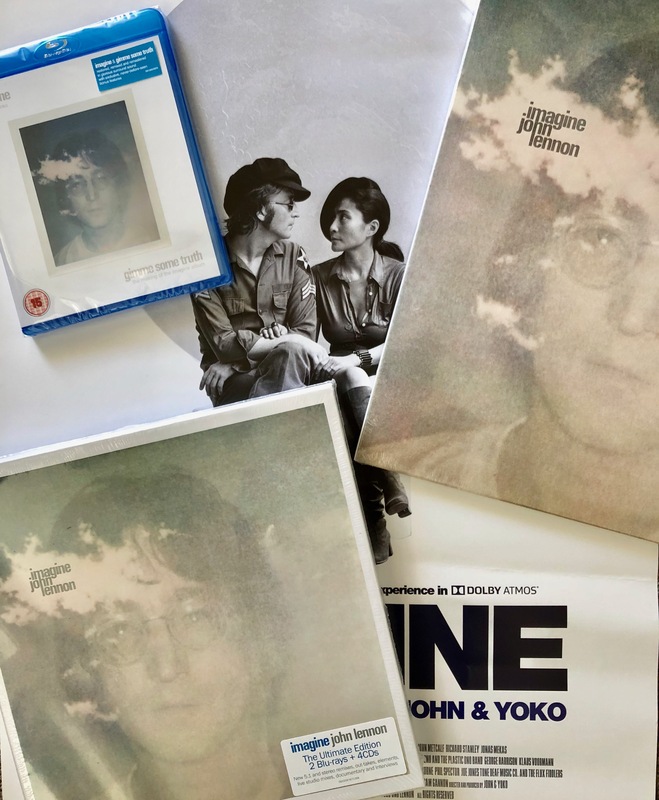 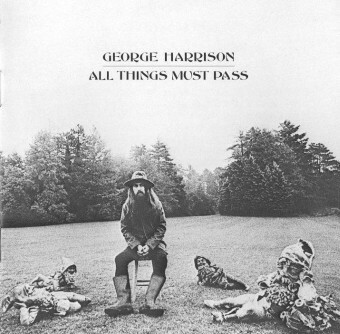 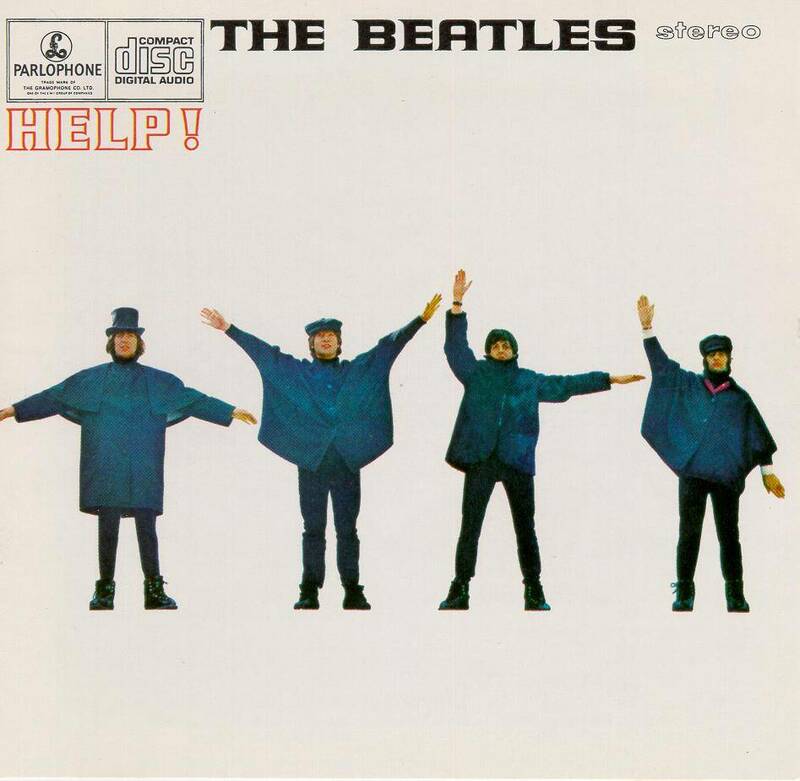 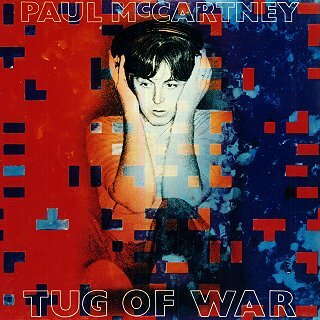 As I say, Beatles cover versions are not my thing – but this album delivers on many levels, not the least being that it comes from an artist who respects and loves the originals. 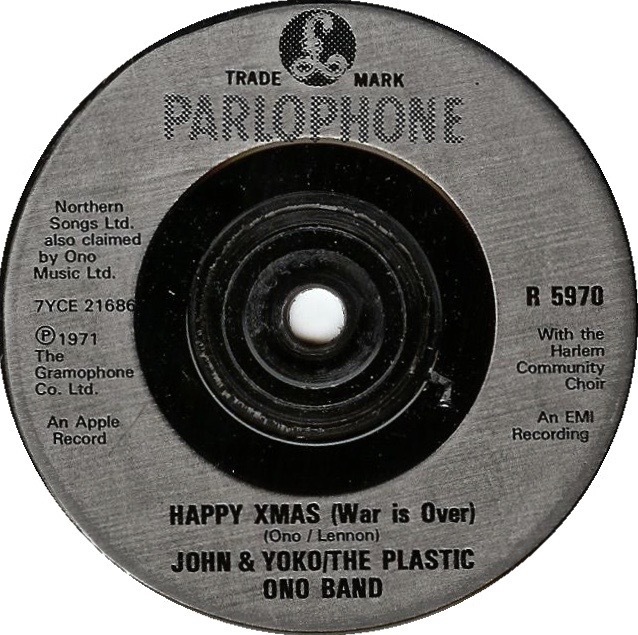 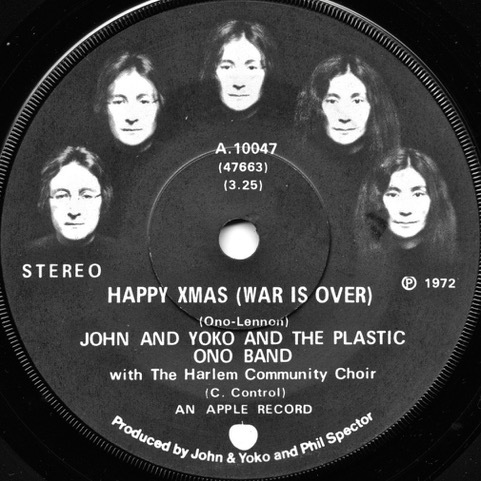 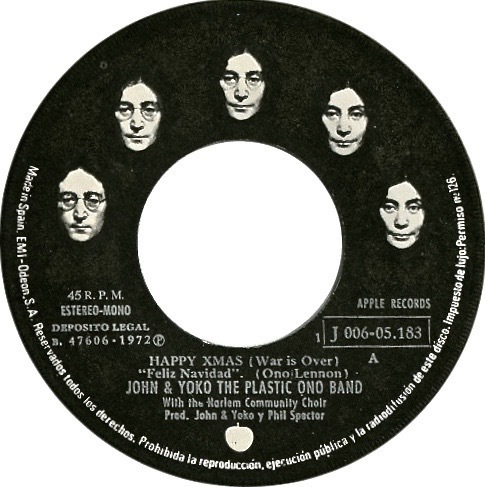 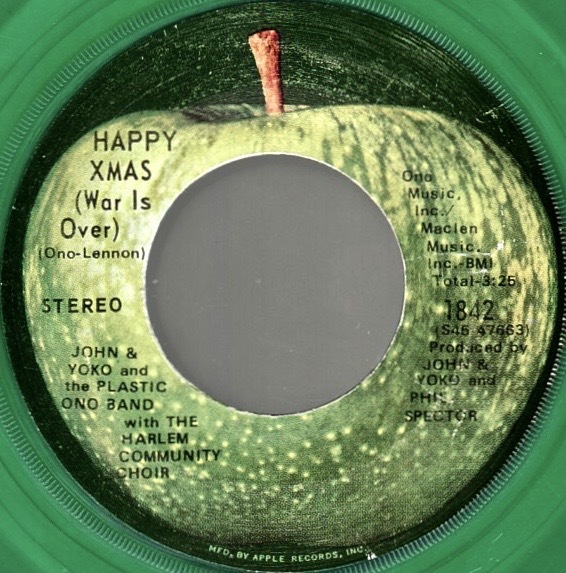 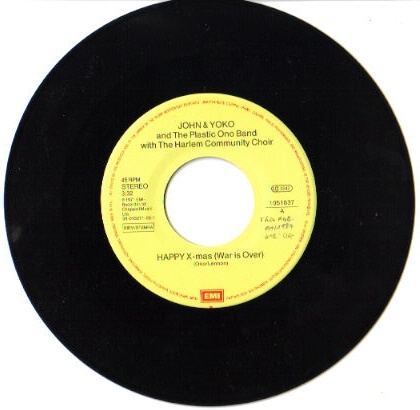 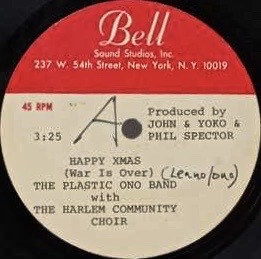 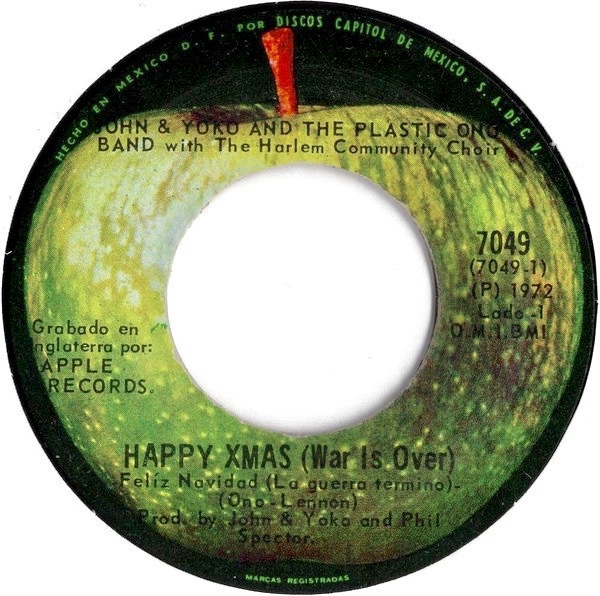 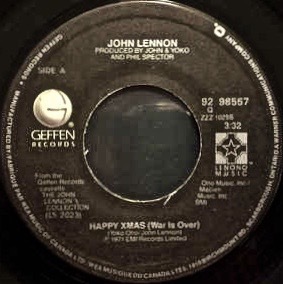 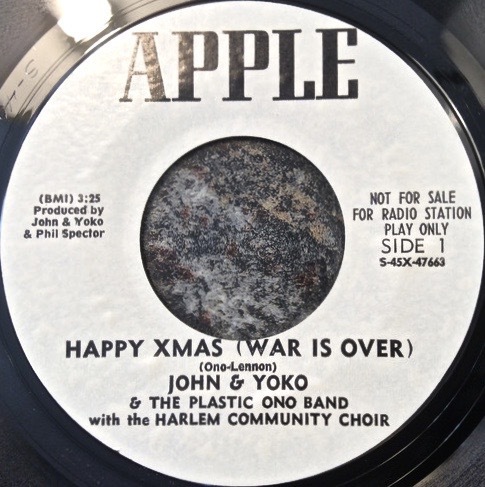 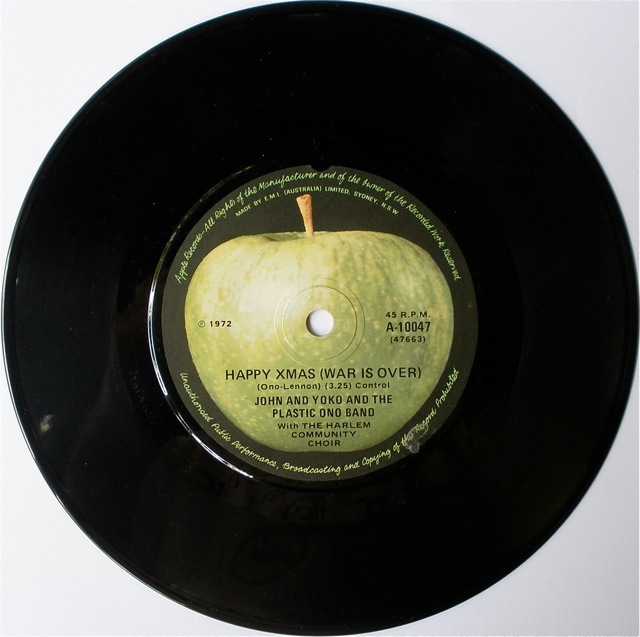 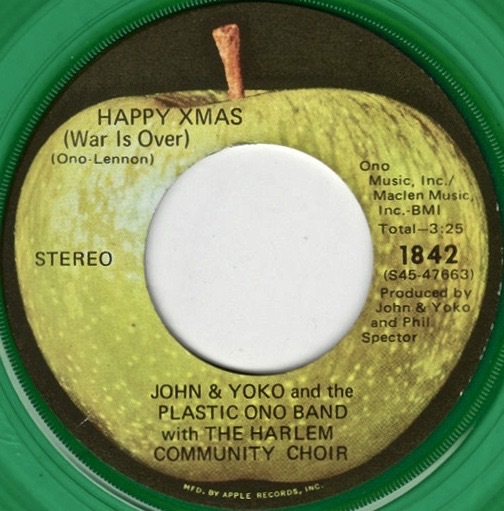 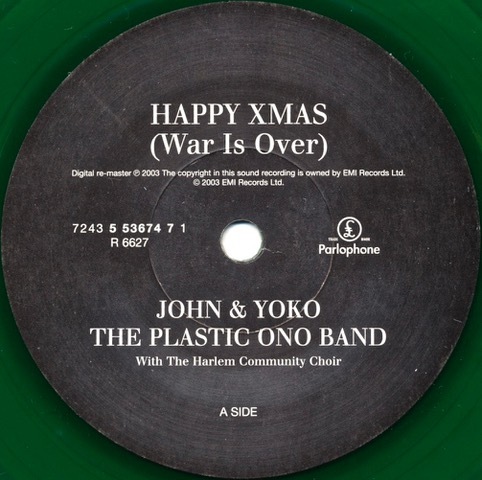 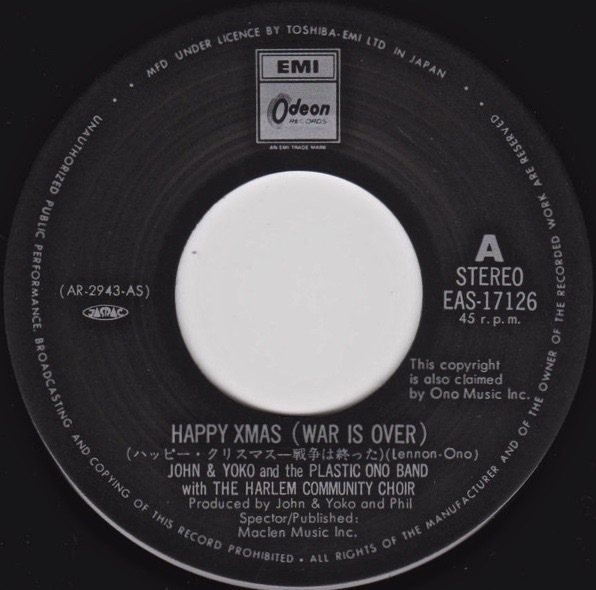 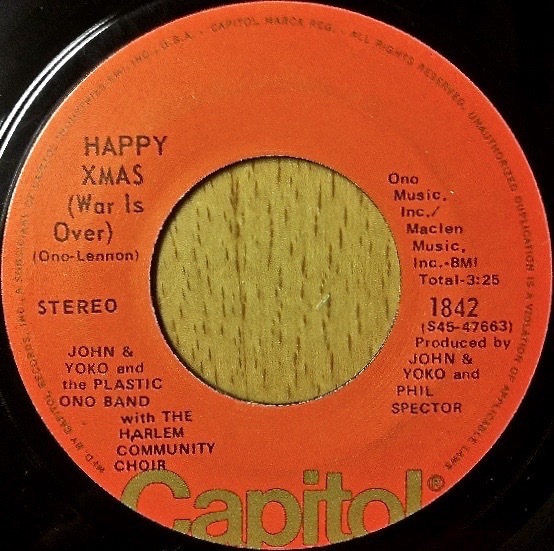 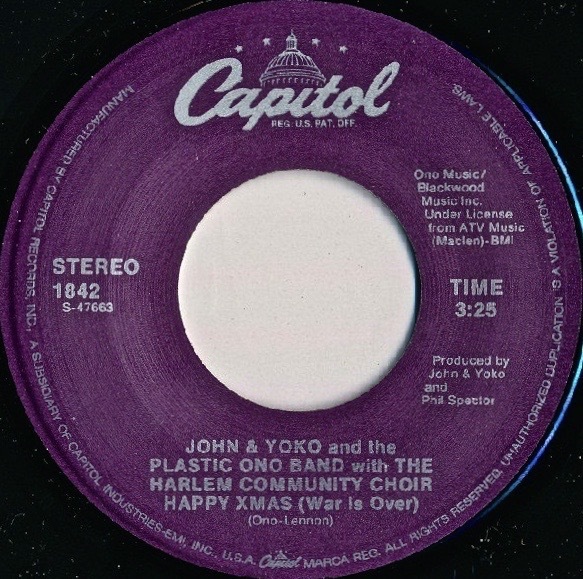 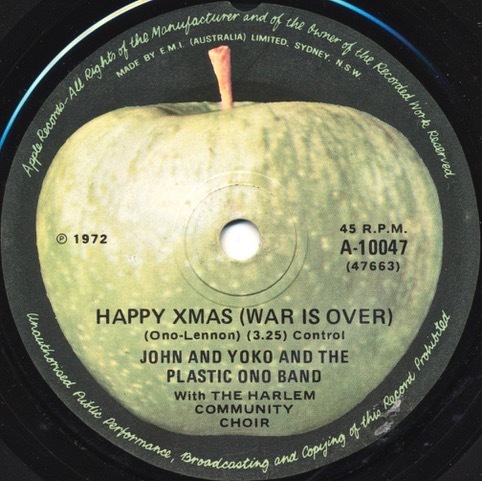 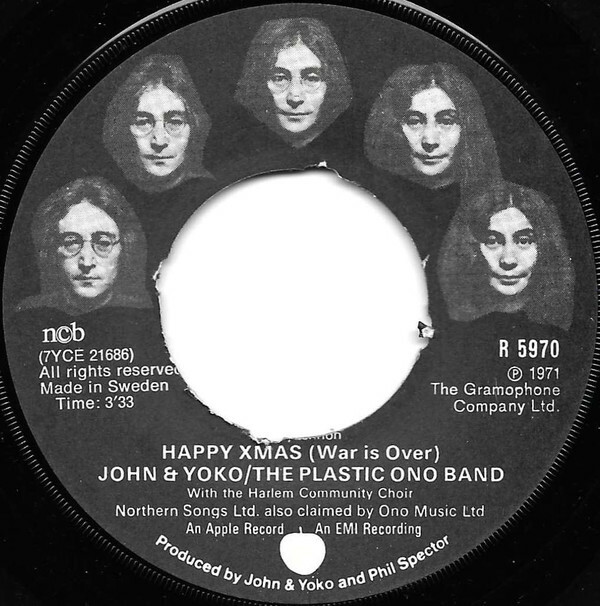 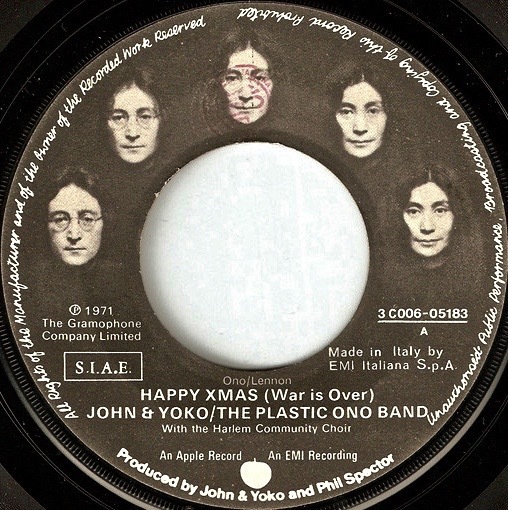 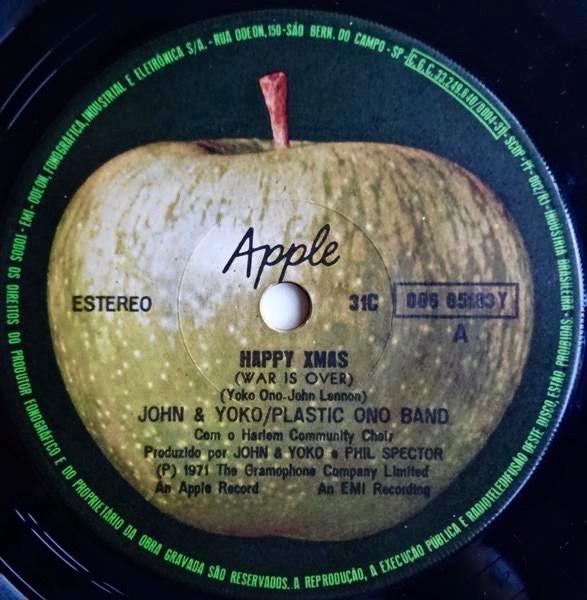 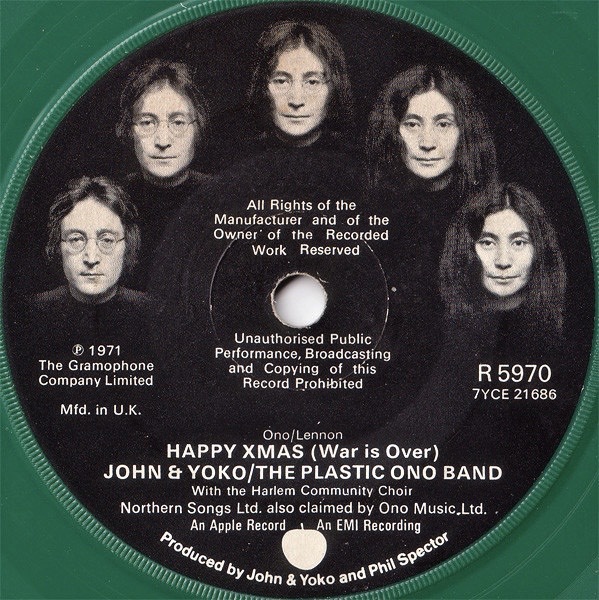 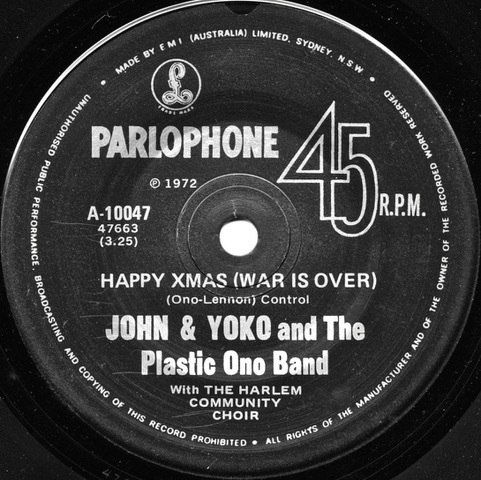 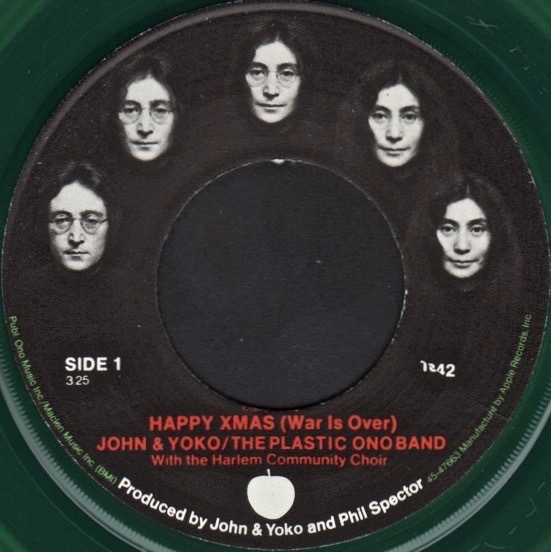 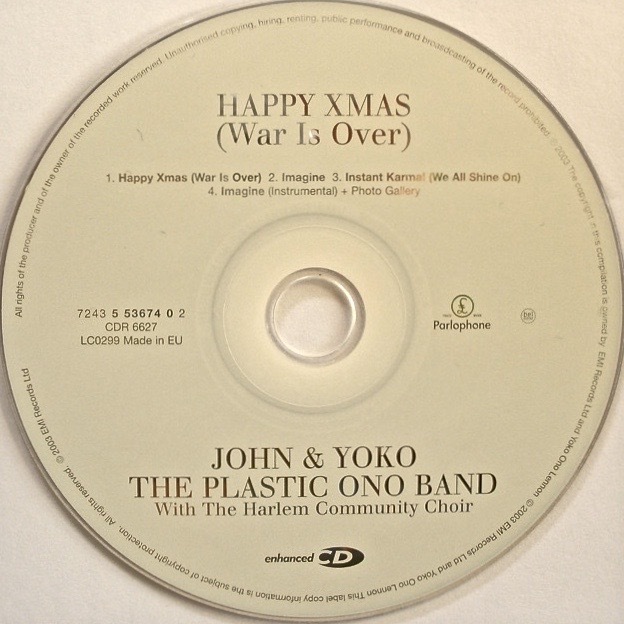 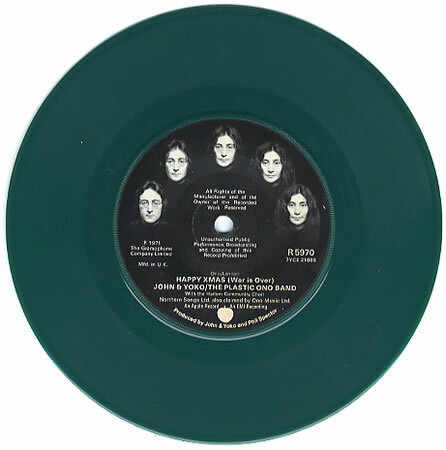 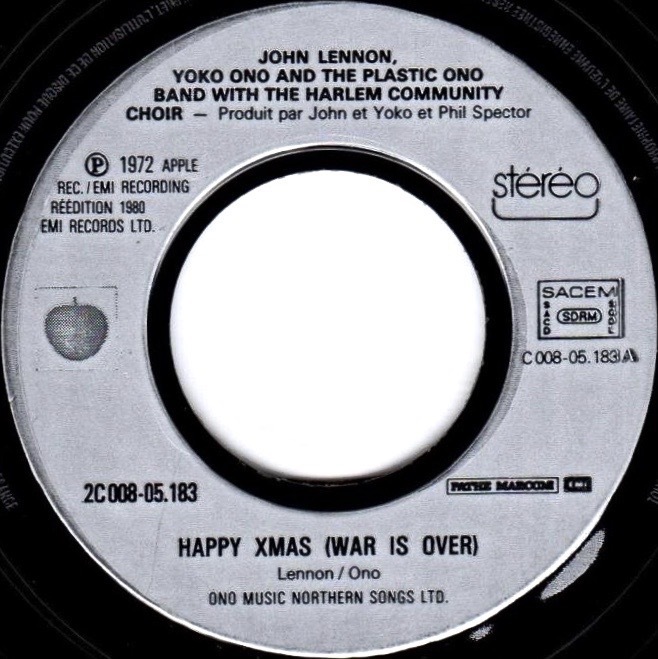 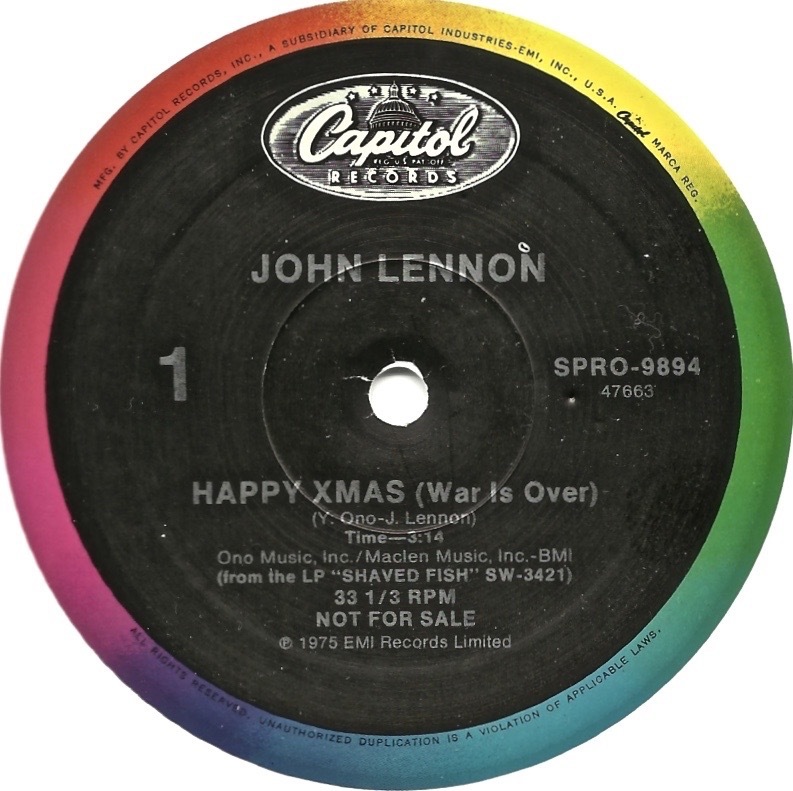 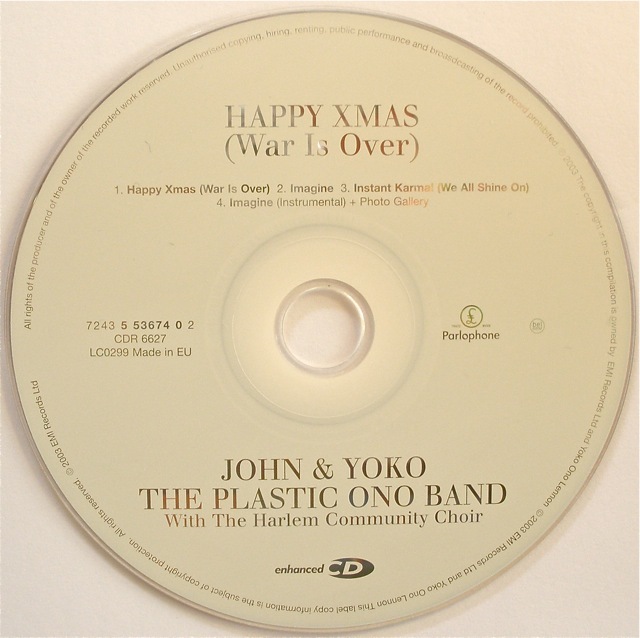 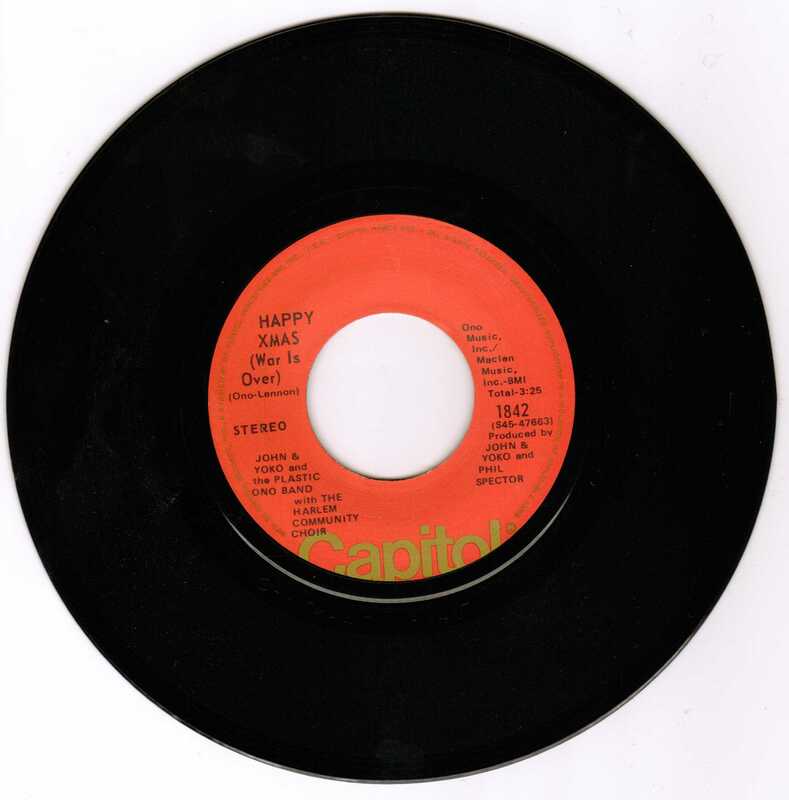 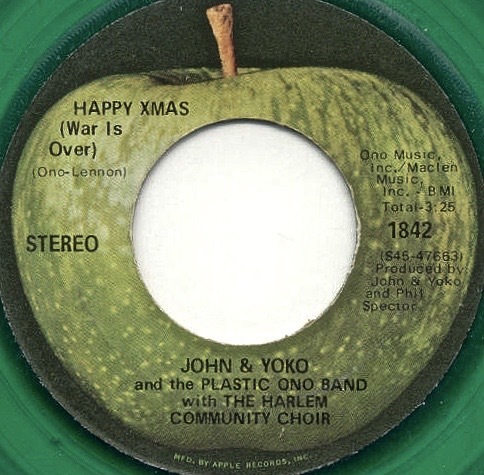 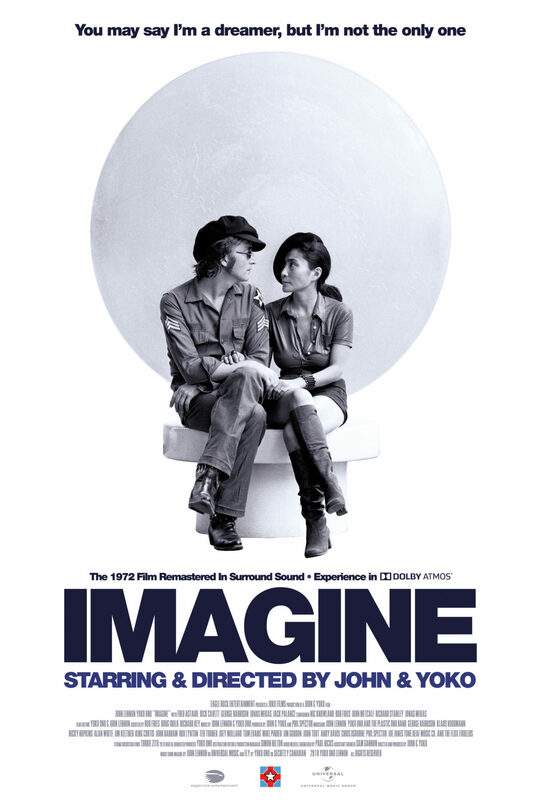 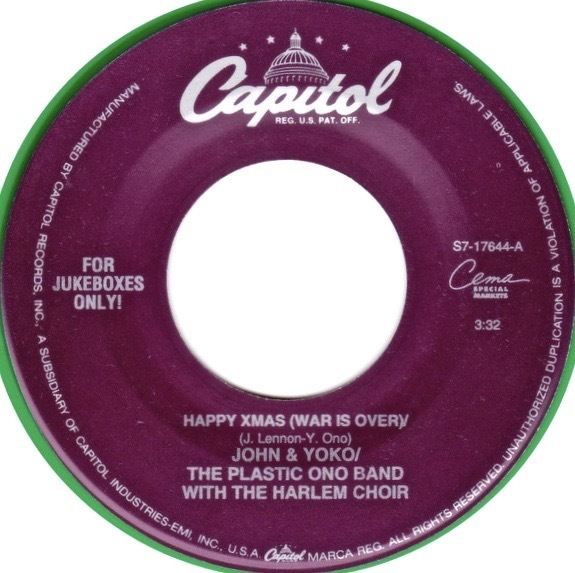 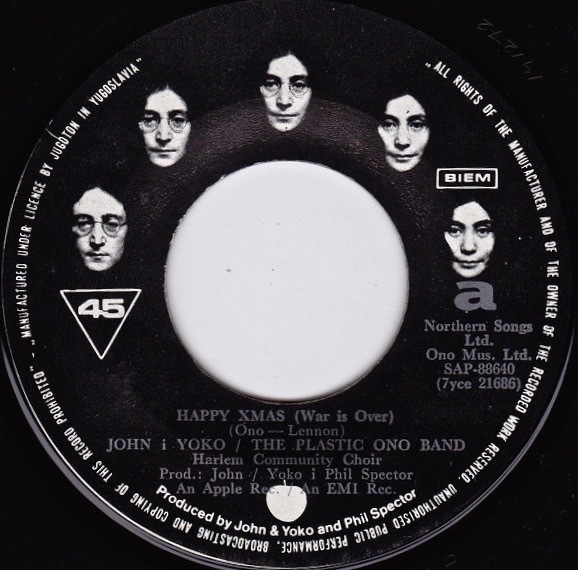 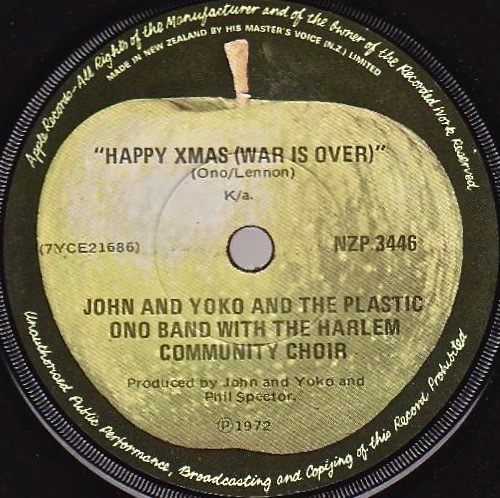 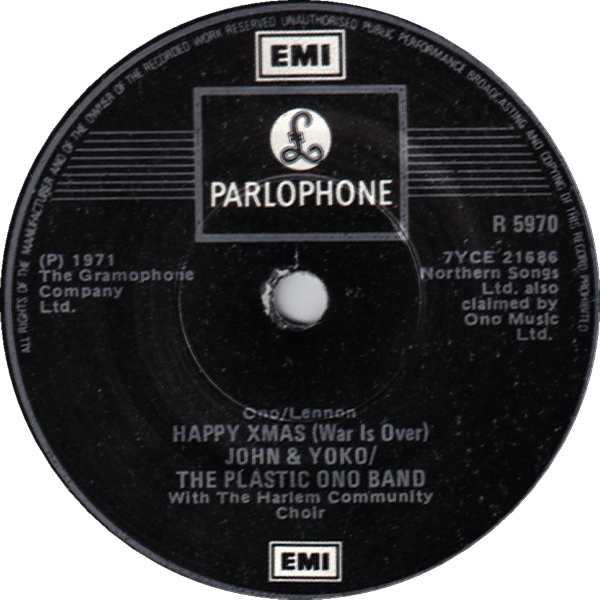 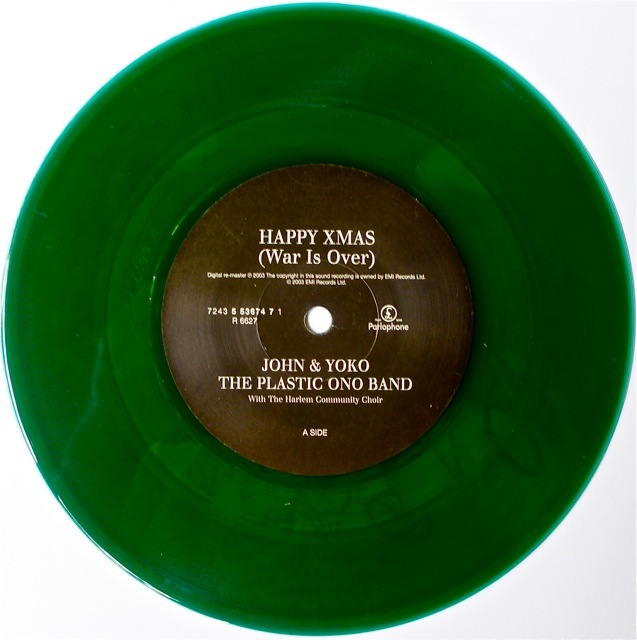 Now in its 40th year – the peace campaign and song by John Lennon, Yoko Ono, the Plastic Ono Band and the Harlem Community Choir. 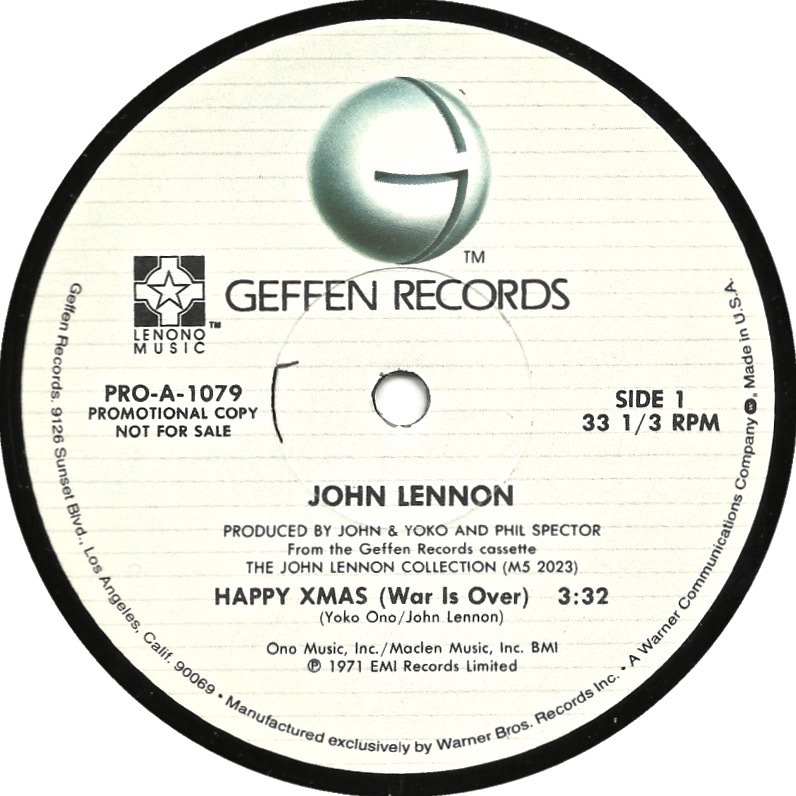 To find out more and to download the original poster in your language and in a range of sizes just click here. 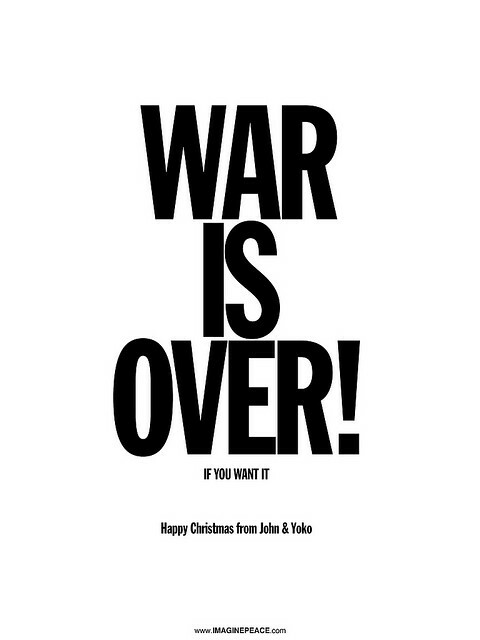 And keep praying for peace in the world.